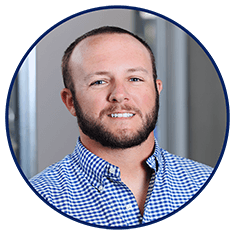 Chad Ethier is a Mortgage Banker at Bank of England Mortgage and his main goal is to make sure you finish the loan process with a smile on your face. His team specializes in residential mortgage lending, so you are in expert hands and he is confident this will be the best home loan experience you will ever have. He specializes in first time home buyer mortgages, and he is a wealth of knowledge when it comes to this niche. He moved to Jacksonville Beach from Orlando in 2010 to finish his Bachelors degree at the University of North Florida (SWOOP). After graduating, his aspiration to pursue a career in real estate stemmed from his mother whose entire professional career was with residential home builders and architects. In 2016, the person who inspired his career, his mom, was diagnosed with cancer. In an effort to be closer to family and help with her fight, he transferred to our Orlando branch to work. He has since moved back to Jacksonville Beach, and he is happy to be back in the town he loves and has made his home. Outside of the office, he spends his free time surfing or on his boat fishing. He prides himself on being available night or day to answer any questions or concerns about the mortgage process or your real estate needs. Let his ambition be your tool to a smooth and rewarding mortgage experience! Because it's more than just loans... it's people!